Credit Suisse AG’s Chief Executive Officer (CEO) Brady Dougan has been shown the door, following a lengthy and enduring tenure with the Swiss banking group – the man tapped to replace him is Tidjane Thiam, according to a report from the Wall Street Journal. 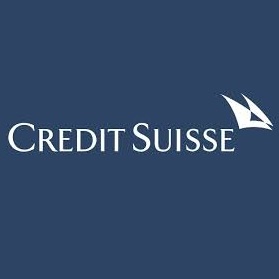 Just last week, Credit Suisse’s Head of Swiss Corporate and Institutional Clients, Barend Fruithof, left the bank, in an extended restructuring in its private banking business. Mr. Dougan has been one of the longest acting CEOs amongst other leading banks, having started at the group back in 1990. He was promoted into the role of CEO back in 2007, enduring some tough years during the global financial crisis, as well as a lingering string of legal probes surrounding benchmark manipulation. Taking over as CEO will be Mr. Thiam, who joins Credit Swisse from the U.K. insurer Prudential, where he served in a similar role. Mr. Thiam also has had extensive experience at the executive level, assuming the role of CEO at Prudential back in 2008. He is slated to begin his new position in June.